Okay, New York pizza lovers. I’ve got a bit of information you might not like at first, but I swear you will love later. Ready? Here goes…corn belongs on pizza. Hate me yet? 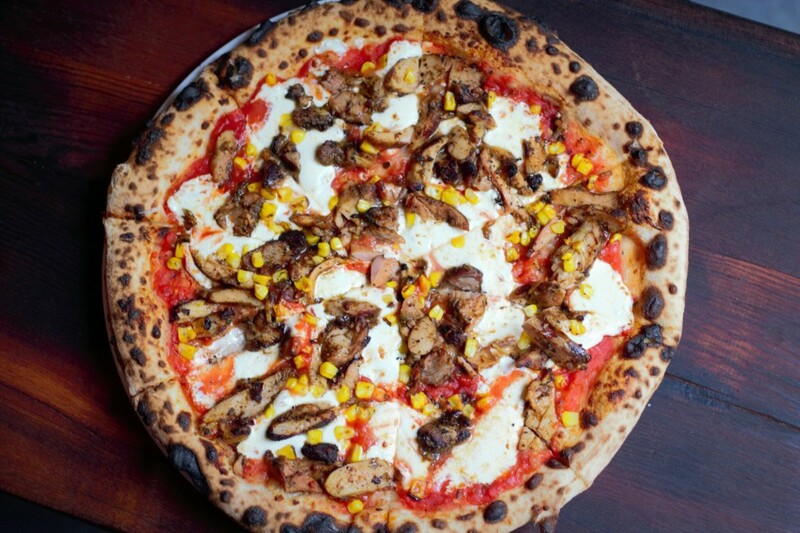 Hold off on those insults until you experience the anomaly in the pizza universe (and don’t forget the jerk chicken!) at ZuriLee Pizza Bar, Flatbush’s not-so-hidden gem, that offers Caribbean wood-fired pizza fare. In fact, I’d bet that this joint is likely the only Caribbean pizza spot in the city, and believe me, you won’t regret trekking to Brooklyn to try it for yourself. Right on bustling Flatbush Avenue, ZuriLee brings together NYC’s obsession with pizza and the heart of Caribbean cuisine. Upon walking in, my guest and I immediately felt at ease in the sea-themed restaurant, with plain wood tables and benches/chairs but lots of color elsewhere. 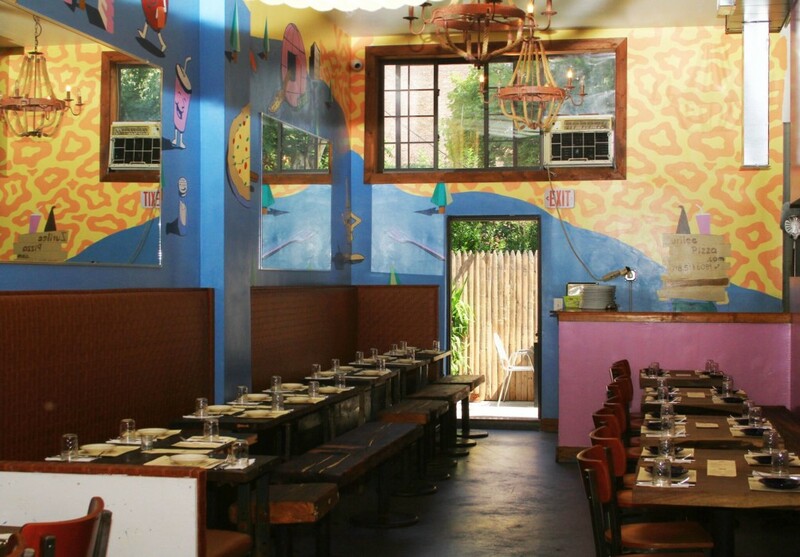 The doors were decorated with a collection of festive ropes and the walls were eclectically painted while maintaining the pizza theme with cheese and tomato cartoons. We knew we’d have fun here. So, onto the drinks: they have a pretty slammin’ $5 craft cocktail happy hour deal, which we jumped on ASAP. 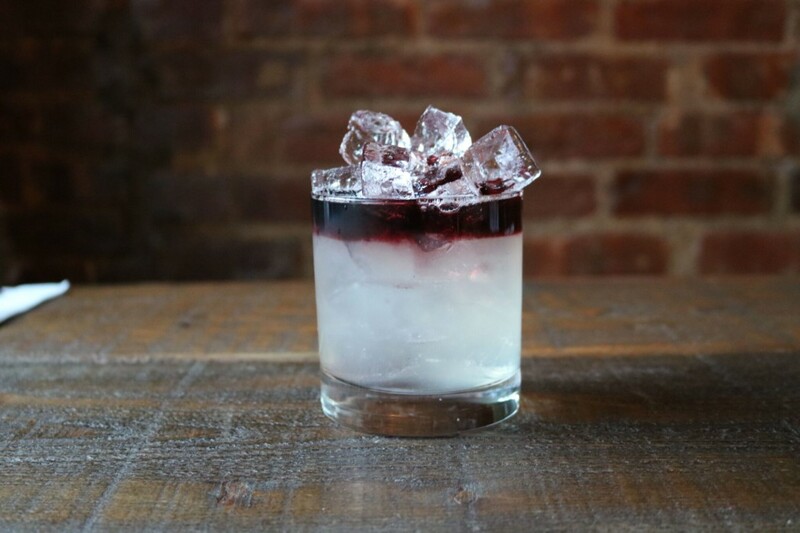 After looking over a unique, creative list of drinks, I chose the Crooklyn ($5), which incorporated bourbon, lemon, strawberry black pepper jam and ginger ale into a bevvy that, to me, tasted like a wild-berry whiskey ginger. My guest opted for the “For a Few Dollars More” ($10) with smoked-pineapple-and-cinnamon-infused bourbon over slow-melting pineapple spheres. Honestly, we were tempted to just stay right there and sip on these all day, but we’d probably get into some trouble. We couldn’t stop staring at the equally-interesting food menu, particularly the cauliflower ($12), which featured jerk chicken, gorgonzola cheese and Flatbush sauce, and the edamame ($7), with truffle oil and sea salt. The cauliflower was the “healthy” version of a hot wing, but so much more with the chicken, cheese and sauce while the edamame was blistered and fragrant from the truffle oil. Then, we were ready for the main event: the pizza. ZuriLee splits its pizza menu into a red sauce list and white list, which meant we had to try one from each just to make sure we’d really covered ground. 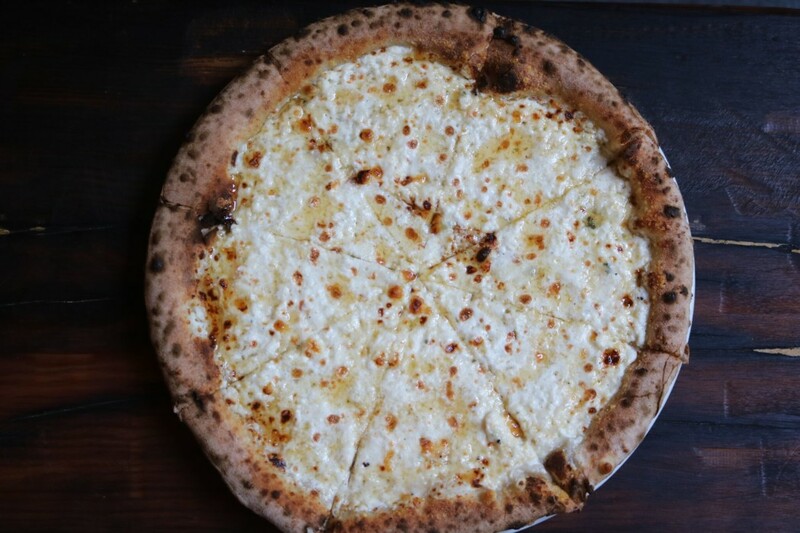 Our white pizza was the Columbia 4 ($17), with ricotta cheese, gorgonzola cheese, grana padano cheese, stracciatella cheese and the house special spicy honey sauce, and we chose the jerk chicken pie ($16) with a robust red sauce, spicy chicken, mozzarella and sweet corn. Our final thoughts? Ohhhhhhhhhh myyyyyyy god. Both pizzas were special in their own way, the Columbia 4 being that cheesy sweet spicy thing everyone wants on a Sunday afternoon after a big night out and the jerk chicken pizza being the glue to my argument that corn does, in fact, belong on pizza. Test any pizza against ZuriLee’s and I guarantee your head will spin and your stomach will say, “You’ve been ordering wrong all this time.” PS: their $22 brunch special involves unlimited sangria or tropical mimosas on top of the pizza. PPS: You can bet I’ll be there.